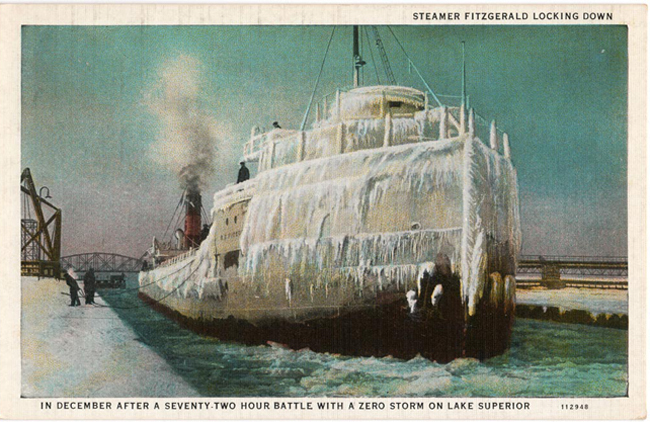 Image courtesy of the The Marine Historical Society of Detroit and the Matt Miner Collection. Hemingway would for the rest of his life make references to Michigan and his youth. In A Moveable Feast he describes writing about Michigan while sitting in Paris cafes in the twenties. In True at First Light he remembers from Africa the sweet taste of cider pressed at Horton Bay and in Islands in the Stream the lead character is asked when he had been most happy. He recounted days at the lake as a boy. Clearly Hemingway might have physically left Michigan but its memories never left him.